A lunar eclipse or a blood red moon is set for Friday, July 27, 2018. This will be the longest lunar eclipse of the 21st century. The moon will be at its furthest point from the earth during the eclipse (apogee). As a result, the moon will be travelling at its slowest orbit and speed. The eclipse will last 1 hour and 43 minutes. An average eclipse lasts about 50 minutes. Sorry, the eclipse will not be viewed in North America. This show is for Europe, Asia, and Africa. There should be some great pictures of the event. Enjoy the blood moon. July 27, 2018 is NOT the RAPTURE. July 27, 2018: Jesus is NOT coming back to Earth. July 27, 2018 is NOT the END. July 27, 2018 is NOT ________________. The earth will still be spinning. “It” is not hitting the fan on July 27, 2018. …that day and hour no one knows…Granted, this phrase may be a veiled and figurative comment that possibly points to the Feast of Trumpets or Yom Teruah. Yes, it could be one of two days for the fall appointment pending the confirmation of the new moon. July 27, 2018 is not even a God Appointment per the Mosaic Law. We are not even to the Hebrew month of Elul and the 40-day period of Teshuvah. This event is a full moon not a new moon! …nor the Son…To those who support and advocate for Rapture and doom in July 2018, the claim is being made you have been given divinely inspired revelation that not even Jesus Christ knows. And He is God. 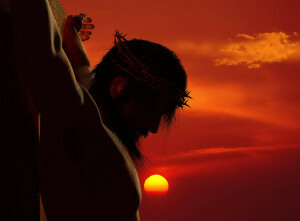 He died for all the sins of the world. Jesus put in some serious bloodshed and sacrificial effort. Christ claims He does not know. …not even the angels of heaven…There are angels in Heaven in the presence of the Holy Spirit, the Son, and the Father in the throne room. The angels don’t know either. Don’t get sucked into the hype and hysteria. For the record, I am not claiming to know the date of the rapture or the physical return to Earth by Jesus or whatever. But I do know, date setters are totally defeated in history.